If you’re in the market for a 2010 Nissan Quest, you’re out of luck. Why? There is no such animal. It was absent from the market in that year. The previous generation was, by the company’s own admission, a bit of a disappointment, so they pulled the plug, went back to the drawing boards, and re-did just about everything. With its unorthodox styling, off-putting interior layout, and comparatively high price tag, the previous version just kind of missed the mark and buyers stayed away. Nissan went back to its roots and brought the 2011 model out in mid-2010. Power for the reborn Quest was supplied by Nissan’s ubiquitous VQ series V6, which, in this case, displaced 3.5 litres and delivered 260 horsepower and 240 foot-pounds of torque. It was mated to a CVT automatic transmission only and performance for the 2000-kilogram Quest was adequate, but not earth-shattering. By this stage of the game, Nissan was fully committed to CVT technology, and it’s arguable if this was the best transmission choice for this particular vehicle. Some like it, lots don’t. This iteration of the Quest utilized Nissan’s “D” platform, which was also found in the Murano and Altima and Maxima sedans. It gave the Quest good around-town handling and maneuverability, with a comparatively tight turning radius. You could actually execute a U-turn in one go on most typical two-lane streets and low-speed maneuvers, such as parking, were straightforward and undemanding. With seating for seven, and a unique hideaway rear storage compartment, it also featured a stiffer body than its predecessor, and was wider, with a lower step-in height and improved fuel economy. Like the one that came before it, this made in Japan Quest had a fairly high standard equipment level. Things like roof rails, heated outside mirrors, push-button start, fold-flat rear seats, first and second row centre console were standard issue, and, as you climbed up through the model range, you could get items like power sliding doors, power front seats, power rear tailgate, leather interior, Bluetooth, a Navi system, larger 18-inch wheels and tires, rear entertainment system, “panorama” power sunroof, window blinds, and on and on. Four different trim levels were offered, and you could order Nissan’s blind- warning system, which alerts the driver, via a small mirror-mounted light, if there is a car in his or her blind spot. One safety recall from Transport Canada to report. Apparently, on some vehicles, if you’re decelerating or coasting down a hill and have less than ¼ of a tank of fuel, the engine will starve itself and stall out. That means a complete and instant loss of power. 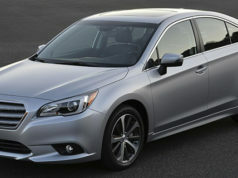 This is apparently due to a glitch in the fuel pump control program, and affects 2012 models as well. NHTSA has this problem on record as well, with some 14 technical service bulletins to go along with it. These include a sometimes unresponsive cruise control, issues with the power door locks, “clicking, clunking, buzzing, thumping, or knocking” noises coming from the engine during acceleration, and problems filling up the gas tank. There are some 30 complaints from owners, virtually of which concern numerous problems with the aforementioned low fuel level / wonky fuel pump. According to some owners, this problem can crop up at any time, including while you’re stopped at a traffic light. In short, don’t let this one get below ¼ of a tank of gas and if you’re considering buying one, have this problem checked out. Aside from the fuel pump problem, Consumer Reports likes – but doesn’t love – this version of the Quest. It scores well in most areas, with the exception of the audio system and body hardware. C.R. gives it an “average” rating, observing that reliability of new models was a predicted 17 per cent below average. Comments from owners: “Lots of room for six passengers, with four passengers, lots of luggage room”, “feels supportive in the front seats”, and “good power, pickup, and amenities for the price”. 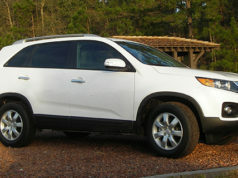 Marketing researcher, JD Power gives the 2011 Quest an average predicted reliability rating, noting that it received the highest possible crash ratings for front, side, and rear impact collisions from the Insurance Institute for Highway Safety. From a base price of just under $30,000 for the S, this iteration of the Quest has held up reasonably well. Prices seems to range from the high ‘teens – low $20,000 mark to the high $20,000’s – low $30,000’s for a loaded LE. 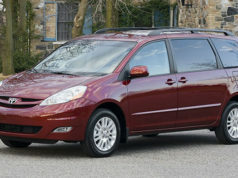 Alternatives: Honda Odyssey, Toyota Sienna, Dodge Grand Caravan, Volkswagen Routan, Kia Sedona.